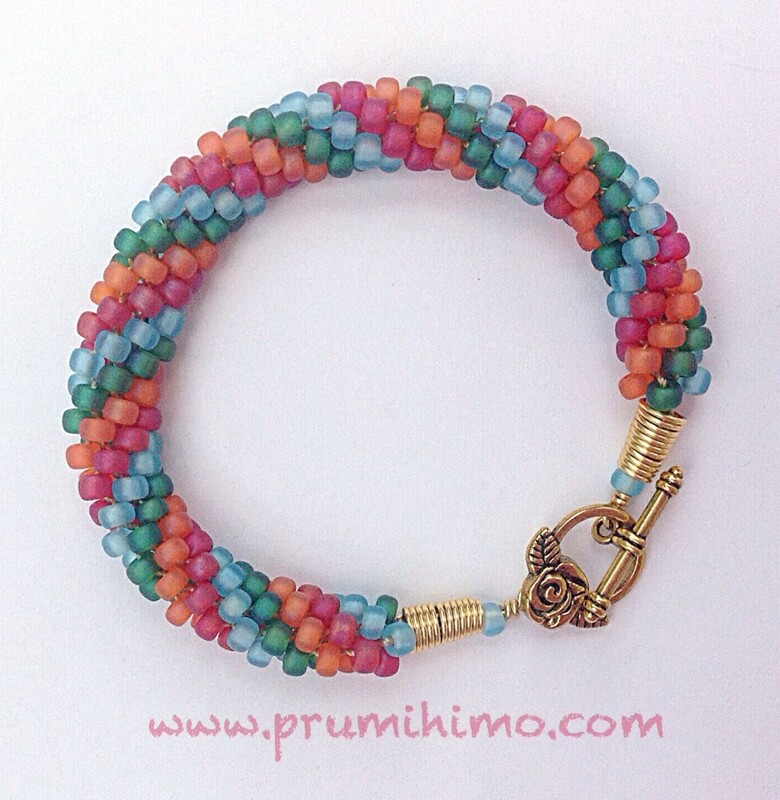 Careful threading of the beads makes this colourful and versatile bracelet work. 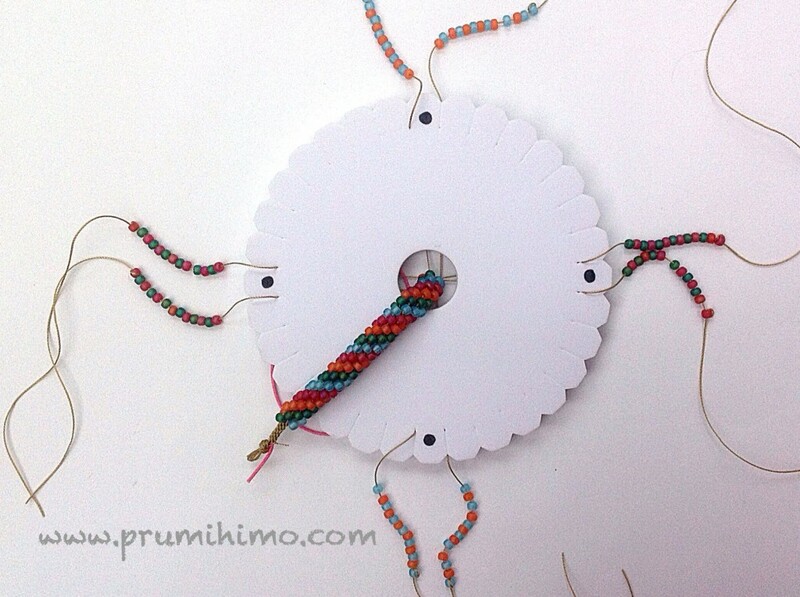 – Braid in the beads, making sure the cords are in the starting positions. This method can also work well with different sizes of bead. 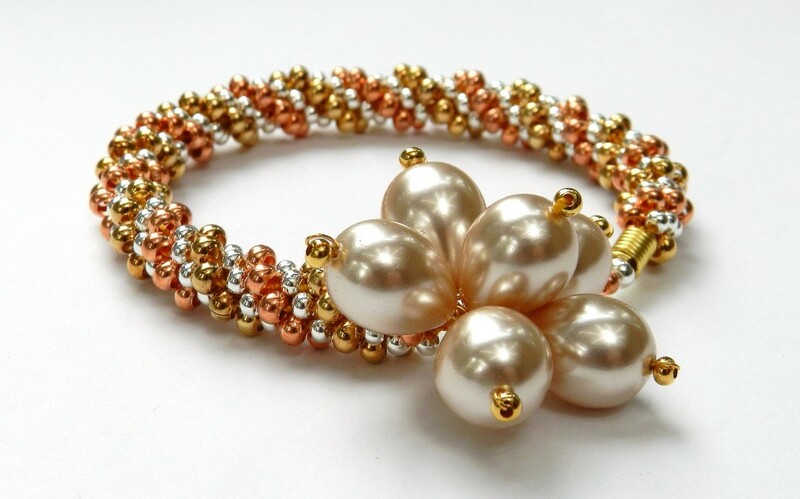 Here I have used size 6 and size 8 metal seed beads. Have a browse around this site to find lots of useful information. The Resources section is where you will find lots of free information about braid structures and techniques. 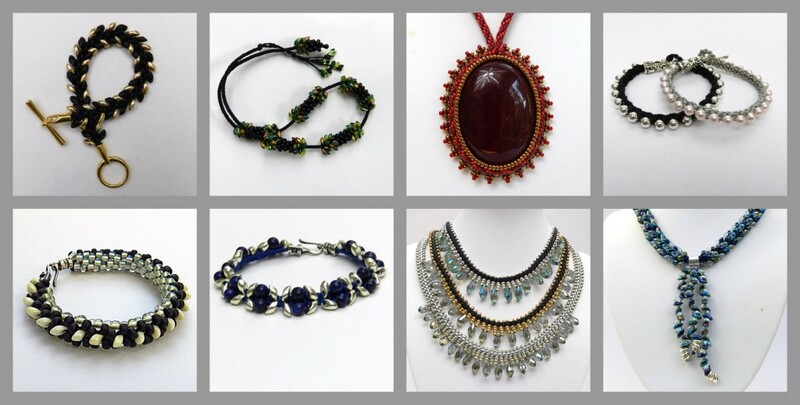 The shop is full of two pages of very detailed and unusual tutorials, which will take your kumihimo to the next level. Here are just a few of them. Click here to find the shop.